Update, January 12, 2018: Counter-Strike: Source and Half-Life 2 have also had their violence restrictions removed in Germany. Following the removal of censorship from Team Fortress 2 last month, Counter-Strike: Source and Half-Life 2 have also lost their low-violence flags on the German Steam store. It might be more than ten years old, but Team Fortress 2 has plenty of life left in it. According to a comprehensive Reddit post, the update means that the only remaining censorships apply to the two Left 4 Dead games. L4D1 is indexed, meaning the rules that apply to it are similar to those that currently apply to Half-Life, but Valve are apparently able to apply for early re-evaluation. L4D2 is in a more complicated state. The Reddit post states that “the uncensored version is literally banned and confiscated,” although owning or playing it is not illegal. While a re-evaluation is relatively inexpensive, appealing a ban is a more time-consuming and expensive process, which would require Valve to hire a German lawyer. If you want advice on how to access the games without their low-violence flags, that post is a good place to start. It also explains the various legal states a variety of previously-censored Valve games are currently in. Original story, December 14, 2017:German players should now be able to play an uncensored version of Team Fortress 2. Players in Germany were forced to play a low-violence version of Valve’s FPS due to the country’s censorship of The Orange Box. The violence in Team Fortress 2 is so slapstick that I’m surprised anyone ever felt the need to censor it. But to Valve’s credit, the found a characterful workaround. 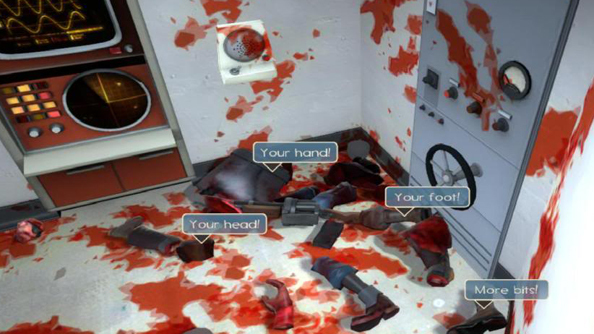 Team Fortress 2’s ‘sillygibs’ saw foes explode in a shower of what appears to be mustard and spare car parts. You can take a look at what that looks like in the video below. Now that Valve’s 2007 game-changer The Orange Box, which included Portal and Half-Life 2 alongside TF2, is no longer censored in Germany, players who were hoping for a (slightly) more authentic experience can finally turn sillygibs off. All you need to do is open a Steam Support ticket, and ask Valve to remove the low-violence flag from your account, and you should be able to bathe happily in the blood of your enemies. Play TF2? Live in Germany? Since The Orange Box is now uncensored in the country, you can now remove forced low violence/silly gibs. Just open a Steam Support ticket, and ask to remove the low-violence flag from your account.